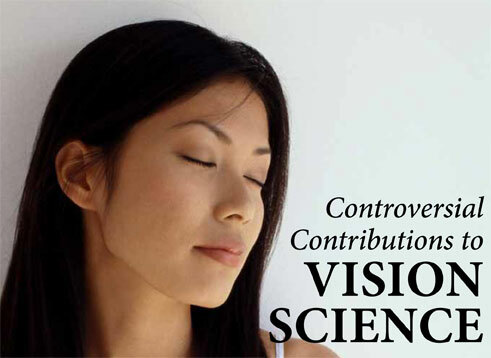 In the Jan/Feb 2012 issue of Envision: seeing beyond, we touched on the controversial Bates Method of Vision Improvement. You may recall that vision scientist, Laura Sewall, Ph.D., author of Sight and Sensibility: The Ecopsychology of Perception, used a variation of the Bates Method to profound effect. The article, Vision and the Possible Human, while not idealizing Bates, does celebrate his scientific curiosity. This article will look at the actual variation of the Bates method that Sewell practiced. We will also examine how the profession of developmental optometry views the contributions of W.H. Bates. The woman who taught Laura Sewell to dramatically improve her vision was the late Janet Goodrich, Ph.D. Her daughter, Carina Goodrich, is herself a vision educator and has taken over her mother’s business, which is based in Queensland, Australia (www.janetgoodrichmethod.com). Carina Goodrich is also an author, having published The Practical Guide to Natural Vision Improvement[i], in 2010. Carina says Janet wore glasses from age seven to 25, at which point she began to study the Bates Method along with the work of Margaret Corbett (a teacher of the Bates Method who also expanded on the work), in addition to Reichian therapy (emotional/psychological healing based on the work of Wilhelm Reich). At age 27, Janet had the vision-related restriction removed from her driver’s license and never wore glasses again. Janet Goodrich consolidated the work of Bates, Corbett and Reich into her own method, which emphasized activities designed to decrease stress and increase relaxation in the visual system. She examined stress in the human body and its impact on eyesight. Goodrich trained instructors in her method and authored two books: Natural Vision Improvement[ii] and ‘How to Improve Your Child’s Eyesight Naturally’[iii]. Bates’ contribution to vision science has also been carefully considered by developmental optometrist, Dr. Leonard J. Press, the American Optometric Association’s vision and learning specialist, and optometric director of The Vision and Learning Center in Fair Lawn, New Jersey (www.pressvision.com). The next article in this series will cover the kinds of vision problems addressed by developmental optometry in more detail. [ii] First published inAustralia 1985 by Greenhouse Publications and in 1989 by Penguin Books. Published in theU.S. by Celestial Arts 10 Speed Press. Now out of print. [iii] First published in Australia 1996 by Sally Milner Publications. Now published in the U.S. by Inner Traditions (under the title How To Improve Your Child’s Eyesight Naturally). [iv] Bates initially believed that the eye could be trained to look directly at the sun. He later changed his views and Sunning was defined as exposing the closed eyes to sunlight. See: http://en.wikipedia.org/wiki/Bates_method#Sunning.